The subject of Planet X is one steeped in controversy. The Internet has burned with a fierce debate between researchers about whether another substantial planet has yet to be discovered in the solar system. Although the idea of Planet X is over 100 years old, and has been seriously considered by many fine astronomers over the decades, the subject has gained notoriety since the publication of Zecharia Sitchin's "The 12th Planet Theory". This hypothesis introduced the world to the mythical planet Nibiru, based upon Sitchin's reading of ancient texts. Andy Lloyd's work on the subject of Nibiru has become essential reading for anyone who has studied the theories of Zecharia Sitchin. This book is the culmination of years of research and presents a daring solution to many of the scientific problems the concept of Nibiru faced. Since Lloyd first put his ideas into the public domain in 1999, support for the idea of a sub-brown dwarf star orbiting our Sun has gained much support. Indeed, the terms Planet X and brown dwarf have practically become synonymous. Surprisingly, perhaps, serious scientists are also considering the evidence for such an undiscovered body as data from the outer solar system leads many of them to conclude that something else is out there, awaiting our discovery. 'The Dark Star' is 328 pages long, is beautifully illustrated and fully referenced. 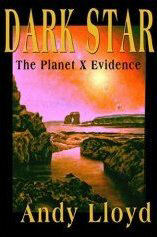 Its purpose is to establish the facts about Planet X in a clear and understandable way. 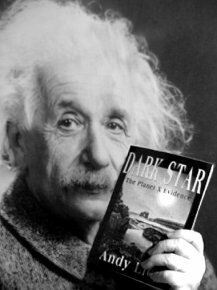 In 'Dark Star', complex scientific material has been presented in a way that was easily readable, and highly thought-provoking. It is also now available on Kindle. Signed and dedicated copies of the book can be obtained directly from the author, Andy Lloyd, who is based in England.